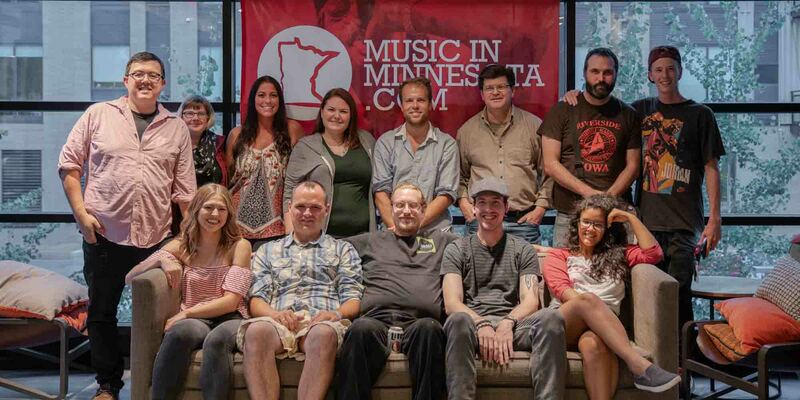 Comprised of a 50-strong team of talented music loving volunteers, Music In Minnesota is a prominent source for music news, concert reviews, and events in Minneapolis and beyond–a place to discover fresh local artists and also stay in touch with the national acts you know so well. Our goal is to provide high-quality content for performing artists and connect the community to the arts and entertainment through an enjoyable online experience. Our audience is growing quickly, recently reaching 20,000 monthly readers, (doubling within the last 3 months). If you would like to be a part of Music In Minnesota, and you have a 1-3 hours of free time per week to contribute, please take a look at the positions we have open! *We currently do not have room to bring on more photographers. Responsible for seeking partnerships and maintaining relationships with organizations, creating campaigns that draw awareness to our organization, and growth. Responsible for maintaining the website, making changes as needed, updates, bug fixes, etc. This is a paid position with generous commissions. Responsible for securing sponsors and advertisers. Responsible for keeping their ear to the ground on music-related news that surfaces and write articles on the subject based on information available to them. Responsible for writing fun and interesting articles such as “Best Music Venues to take your date” or “The 10 Best Cover Bands in Minnesota”. Get creative! We don’t mind! Responsible for reviewing new releases of local and national albums and writing opinion pieces. We get emails all the time asking us to check out new music. We are so busy that we don’t have the time, and I’m sure are missing out on some great tunes! Responsible for observing our traffic, reporting monthly results, offer solutions for increasing our readership, ect. Responsible for filming concert footage, our “ticket giveaway experience” segments, in-person interviews, and more! Do you make friends easily? Are you outgoing and enjoy attending concerts and events? We’re looking for a few dudes and dudettes to join our street team! A brief overview of what you might be doing: Hanging out at concerts for a couple hours, handing out stickers and other promotional material, signing people up for contests. Pretty easy stuff right? If you’re interested, shoot us a message at boweber (at) musicinmn (dot) com and we’ll get back to you asap!